G & Z Upcountry Bed & Breakfast was completely renovated for guest enjoyment in 2014 in the rural community of Kula. The B & B has its own private entrance, living room, bedroom, full kitchen and bath. The bedroom has a king bed. The living room is equipped with a queen sofa bed. A large jacaranda and two avocado trees shade the wide open lawn where guests love to sit and watch the sun set in the west. A barbecue grill is available on the lanai of the main home. The Maui Bed & Breakfast is situated on half an acre adjacent to the hosts’ 6 acre farm. Its convenient location offers easy access to all that upcountry has to offer. There are great hiking trails, restaurants and delis, activities and attractions, national and state parks, farmer markets, art studios and boutique shops. The beaches of south Maui are a 30-minute drive away as is the seaside surfing and windsurfing town of Paia. G & Z is 20 minutes from the Kahului Airport, Maui’s main airport, where all domestic and inter island flights arrive and depart from. How do I contact G & Z Upcountry Bed & Breakfast? The telephone number for G & Z is (808) 224-6824. Office hours are 9:00 a.m. to 5:00 p.m. Hawaii Standard Time (HST). Where is G & Z Upcountry located? How far is G & Z from Kahului Airport? 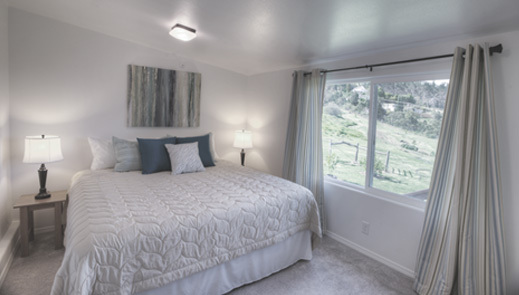 It’s approximately a 20-minute drive from the airport to G & Z Upcountry. After exiting the airport take Highway 37 (Haleakala Highway) upcountry. You will continue on Haleakala Highway toward Keokea. Turn left onto highway 377, also known as Kekaulike Avenue, (located after the 13 mile marker and right before the 14 mile marker and Kula Country Farm). G & Z driveway is the first one on your right after you turn onto Kekaulike Avenue (Highway 377).